TMCP V.V. 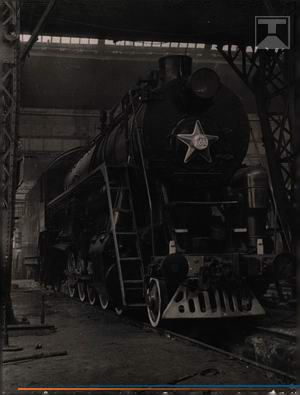 Vorovsky was founded in 1899 at Tikhoretsk station of Vladikavkaz railway. Initially it was a steam-engine workshop. Never the less, it was one of the first enterprise in Krasnodar territory which had its own combined heat and electricity generating facilities providing power to the whole town of Tikhoretsk. Within a few years the steam-engine workshops became the town-forming enterprise. 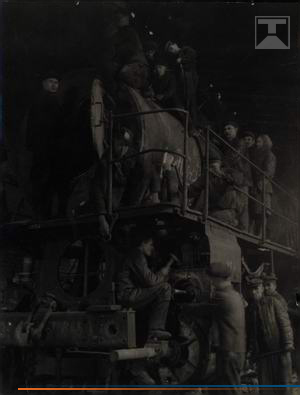 After a large-scale modernization which took place in 1912 the workshops were able to perform reconstruction of US made narrow gauge steam-engines and their adaptation to standard Russian gauge of 1524mm. Since 1914 and till 1920 the workshops designed and manufactured armoured trains. By 1930 the workshops became so large and its personnel so skilled that it was decided to re-organize them into a steam-engine repair factory. In 1956 a new re-organization was done and the steam-engine repair factory was turned into a heavy railway machinery construction plant. The same year the plant was given name after Vatslav V. Vorovsky (an outstanding revolutioner). The new enterprise developed and in 1956 started to produce AGMu and DM railway cars which were highly demanded and exported to numerous countries in Europe, Africa, Asia. At late 60th TMCP V.V. Vorovsky designed a more powerful and comfortable type of auxiliary railway vehicle named DGKu. Within a short period of time it became the basic railbound vehicle for track maintenance in the USSR, Eastern Europe, Middle East, Asia. It was supplied to Cuba and some of the African countries as well. The plant manufactured about 2000 railcars of DGKu type per year. Since 1980 TMCP V.V. Vorovsky presented to the railway market its brand new development - rail cars named MPT and ADM. Though based on DGKu they differed from it in cabin and engine arrangement. The cabin was mounted on the front end and the engine with hydro-mechanical transmission on the rear end of the vehicle frame. It helped to reduce noise level in the cabin. View from the cabin on the track became better as well. Soon, MPT and ADM railway cars fully replaced DGKu in production line. Over 100 machines of MPT and ADM type were exproted to Eastern Europe, Asia and Africa, and over 3000 MPT and ADM are still used in CIS countries. Having passed several modernizations MPT and ADM are still produced under brands MPT-4 and 1ADM-1.3. - simple in use and service, as it used the same control logics as the well-known MPT-4 and inherited many aggregates from it. From 2000 and till now TMCP V.V. Vorovsky has developed several new projects of railway vehicles, such as MPT-G which has four axles and long frame, ADM-1cm catenary installation and renewal vehicles supplied to Spain and approved by ADIF, ADM-1.3cm supplied to Norway and approved by JBV. More over that, TMCP V.V. Vorovsky designed and produces small shunters and multi-purpose vehicles for metropolitans.